Its work is closely linked to the Technology Strategy Board’s strategic priorities as set out in their Technology Strategy report for the Creative Industries. The Creative Industries KTN is part of the Technology Strategy Board’s family of Knowledge Transfer Networks. 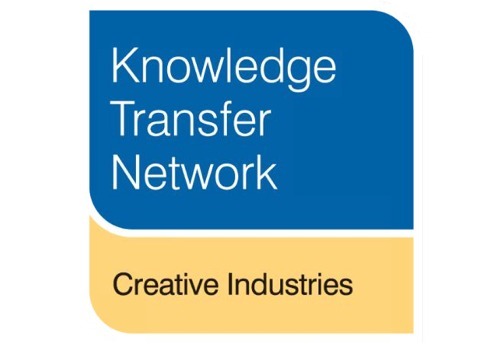 The consortium that created Creative Industries KTN is led by the University of the Arts London and includes the Royal Institute of British Architects (RIBA), Imperial College London and TIGA, the trade association for games developers. This partnership’s wealth of expertise and experience makes it uniquely suitable to work with the UK’s creative businesses. Being a member of the CI KTN makes you part of a dynamic community of innovators who share knowledge and ideas to make things happen. Membership of our network will also gives you access to the latest information about funding opportunities, competitions and events nationwide that can help your organisation. Our programme of events is designed specifically to enable our members to not only influence the big debates on issues affecting the creative industries but also to provide a showcase of some of the the latest technology and the people involved. The bulk of members, 66 per cent, come from business but we have also successfully managed to reach out into academia, government, professional / trade associations and regional bodies to ensure that our network comprises a broad mix of professionals with a vested interest in dynamic growth of our sector.